We know different pitchers have different strike zones, for better or worse. How much better and how much worse? Read my latest at Beyond the Box Score to find out. As you can see, there was a reason why I picked Livan and King Felix for this example. 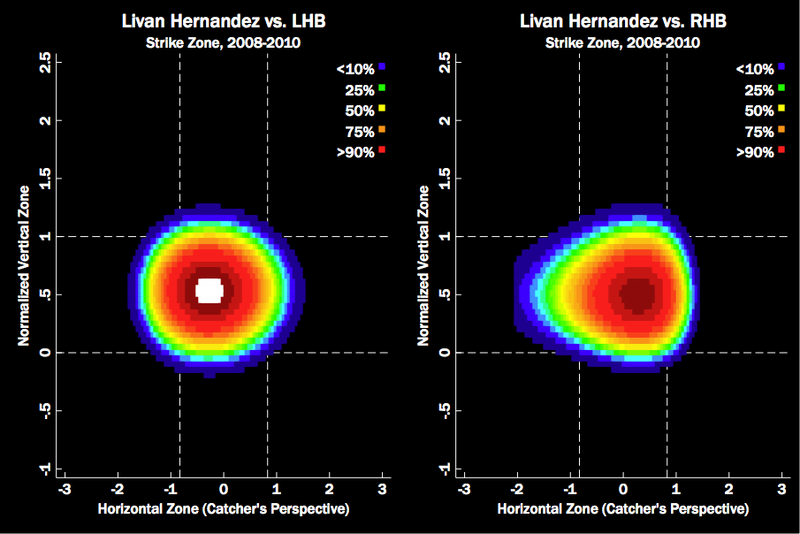 Livan's personal strike zone has been the most pitcher-friendly, costing opposing teams 67 runs since the beginning of the 2008 season. On the other hand, Felix's personal strike zone has been the most hitter friendly, charitably awarding opponents 20 runs during the same time period.